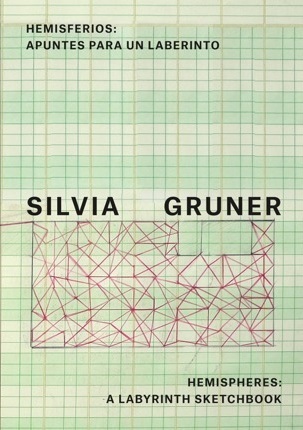 Hemispheres: A Labyrinth Sketchbook (Hemisferios: apuntes para un laberinto) is a fully illustrated, bilingual, mid-career study of Mexican contemporary artist Silvia Gruner (b. 1959, Mexico City). Published to accompany the artist’s solo exhibition presented at the Americas Society in New York (February-June 2016) and at the Museo Amparo in Puebla, Mexico (October 2016-January 2017), the book examines the artist’s experimental films, videos, photographs, installations, and performances dating from the 1980s to the present. Gruner’s work draws upon her personal as well as her collective identity, exploring the relationship between the psychological and subjective, the political and the public. Her artistic production is recognized for significantly contributing to the development of contemporary art in Mexico through her appropriation and sophisticated manipulation of vernacular culture and her exploration of the body. With scholarly texts and an interview with the artist, Hemispheres: A Labyrinth Sketchbook (Hemisferios: apuntes para un laberinto) provides an in depth examination of one of Mexico’s foremost contemporary artists. Learn more about the Hemispheres exhibition and watch a video.